On August 23 and 24, two Ministers in the North and the South were sacked from their ministerial portfolios. One was former Justice and Buddha Sasana Minister Wijeyadasa Rajapakshe and the other was the former Transport and Fisheries Minister of the Northern Provincial Council P. Deniswaran. There were some interesting parallels between the two Ministers. Both had been given time by their respective parties to tender their resignations but later were kicked out from their posts as they did not make use of the time given to them to voluntarily step down somewhat gracefully. Both Ministers were dismissed by their respective administrations for the similar reason-breaching the collective responsibility. Wijeyadasa was accused of violating the collective responsibility of the Cabinet, while Deniswaran had allegedly gone against a collective decision of his party, the Tamil Eelam Liberation Organisation (TELO) not to subscribe to the No-Confidence Motion against Chief Minister Wigneswaran in July this year. Despite their respective parties accused them of breaching collective responsibility, it seemed to be a ruse as they had already been destined to be dismissed from their posts for other reasons. Many back benchers and some of the front-liners of the United National Party (UNP) had been complaining for the past few months that the cases against the leaders of the Mahinda Rajapaksa Government were moving at a snail’s pace and it was an indirect allegation against Justice Minister Rajapakshe. Deniswaran’s story was somewhat different and he seems to have been targeted by his Chief Minister unfairly. The Chief Minister had appointed last year a high powered committee to investigate the allegations levelled against all four members of the board of Ministers of his Provincial Council, excepting him. The committee found two Ministers – Education and Cultural Affairs Minister T. Kurukularajah and Agriculture, Food Supply and Distribution Minister P. Ayngaranesan-Guilty of the charges. They resigned from the portfolios. However, Wigneswaran wanted the other two Ministers, who were cleared of charges, Deniswaran and Health Minister Dr. P. Sathyalingam also to resign along with the other two Ministers. They did not budge. Irritated by this lopsided decision by the Chief Minister, the members of the Ilankai Tamil Arasu Katchi (ITAK), the main party in the ruling coalition of the council, handed over a No-Faith Motion against the Chief Minister on July 14 to the Provincial Governor Reginald Cooray. Deniswaran also signed the motion. With the Chief Minister backtracking with his decision he saved his neck and for the time being, that of Deniswaran and Sathyalingam. However, Wigneswaran, the former Supreme Court Judge wanted a fresh investigation against those cleared by his committee and they protested. In the meantime, the Chief Minister provoked the leadership of the ITAK and that of the ruling coalition, Tamil National Alliance (TNA) by appointing Ananthy Sasitharan-the wife of former leader of LTTE’s political wing in Trincomalee- to one of the ministerial post fell vacant by the resignation of the two Ministers. The ITAK/TNA leaders, having prior information on this appointment requested the Chief Minister not to do so, as Ananthy had already been suspended by the ITAK. Wigneswaran being a former Supreme Court Judge might have felt guilty of appointing a person under suspension from the party to a ministerial portfolio. He declared that the new appointments had been made temporarily, only for three months. But he stopped short of explaining the reason for appointing temporary Ministers. 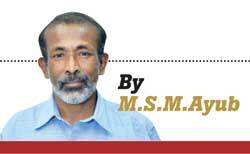 Wigneswaran also provoked another controversy with one of his letters sent to a member of his council. He had requested the council members, who aspire to be appointed to the ministerial post fell vacant, to send in their self- appraisals. Replying to such a self-appraisal submitted by Kanthiah Sivanesan alias Pavan, a member of the People’s Liberation Organisation of Tamil Eelam (PLOTE) the Chief Minister had said that he could not consider it since the member concerned had been accused in connection with a murder of senior journalist and columnist D. Sivaram alias Taraki. However, the PLOTE councillor, Sivanesan in a long reply to the Chief Minister had said that he had never been accused by anybody for the murder. Deniswaran came to the limelight again last month when his party, TELO sent him a show-cause notice for signing the No-Confidence Motion against the Chief Minister in July. Later, on August 20, the TELO decided at a high level meeting of the party in Vavuniya to suspend Deniswaran from the membership for six months, since he had refused to reply the show-cause notice. He argued that the TELO cannot suspend him from the party as he had never been a member of that party, despite the party having nominated him to the Northern Provincial Council. However, party decision stood and Wigneswaran who was already at odds with Deniswaran over the latter’s refusal to resign at his request entertained the TELO’s missive at once and sacked him from the ministerial post. At the same time, he disappointed the TELO by ignoring its request to replace Deniswaran with K. Vinthan and appointed another TELO member Dr. Gnanaseelan Gunaseelan instead. However, later the TELO leader and Deputy Chairman of Committees of the Parliament Selvam Adaikkalanathan had welcomed the appointment of Gunaseelan as both he and Gunaseelan hail from Mannar. Again Wigneswaran was in a controversy when he appointed to a portfolio Kanthiah Sivanesan alias Pavan who was first rejected by him on the grounds that the latter had been accused in connection with the murder of Sivaram. He opened another can of worms by justifying his volte-face by pointing finger at another former PLOTE member Kanthiah Selvarasa, who had a similar alias as Kanthiah Sivanesan had, for Sivaram murder. Sivanesan is also called Thool Pavan and Selvarasa’s nom de guerre was Ooththai Pavan, when he was active in the PLOTE before he was killed in Vavuniya in 2008. Neither aliases connote anything pleasant. However, Chief Minister Wigneswaran had reportedly said that his assumption on Thool Pavan’s (Sivanesan’s) connection with the Taraki murder was later proved wrong and it was Ooththai Pavan (Selvarasa) that had been implicated in the case. Now Selvarasa’s wife S. Yogarani is challenging his new found assumption as well. 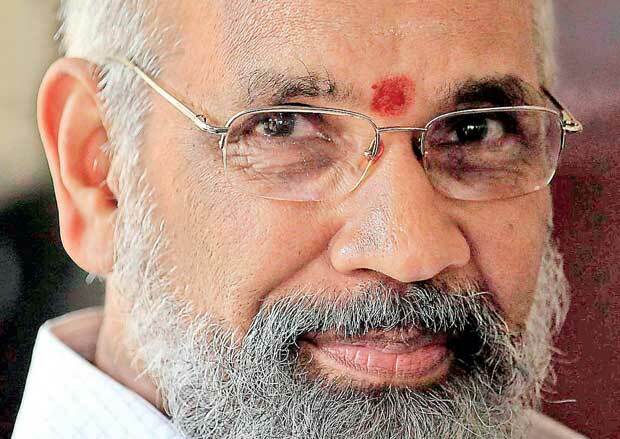 Chief Minister Wigneswaran, from the beginning has been infuriating the constituent parties of his ruling coalition by ignoring their requests in respect of portfolios. When the Northern Provincial Council was first elected in 2013 he disappointed the EPRLF by appointing P. Ayngaranesan as Agriculture Minister ignoring its nominee. After the recent corruption committee saga, he appointed Ananthy, who had been suspended by the ITAK as Women’s Affairs Minister. ITAK/TNA has then decided not to take part in the board of Ministers headed by Wigneswaran as he had repeatedly ignored its leadership. As a result of this Dr. Sathyalingam, one of the two Ministers cleared by the committee tendered his resignation as Health Minister last month. TELO wanted K. Vinthan be appointed as a minister at the latest reshuffle, but the Chief Minister appointed another TELO member, Gunaseelan instead. After his appointment of PLOTE’s Sivanesan as a minister, another member, Linganathan of that party is said to be at odds with the party leadership over the issue. Even being a former Supreme Court Judge, who won the acclaim of many in the South Wigneswaran takes interesting decisions. He wanted two Ministers who had been cleared by his corruption committee to resign. Then he wanted a second investigation against them. A member of his party, ITAK who had been suspended was appointed a Minister ignoring repeated requests by the party leadership. He entrusted additional subjects to Ananthy at the latest reshuffle in spite of his own statement that she had been appointed only for three months. He first rejected the self-appraisal by Sivanesan citing Sivaram murder and later pointed finger at Selvarasa for it. He seems to be fond of controversies.